On August 31, 2014 September 9, 2014 By KTIn Coffee is all around! Does it seem as if suddenly summer is over? The kids are going back to school and everyone you knew on vacation has returned. Even the Emmy Awards are early this year (tomorrow night), since most years, they are held well into September. Not ready for summer to end? We aren’t either – so we have selected some great European iced coffee drink recipes that should help you squeeze out that last bit of the summer. Even if it isn’t that warm where you are, iced coffee will take you back to the lazy days of summer! *Discount valid through 8/27/2014 on www.EnjoyBetterCoffee.com with a $40 minimum order required. Not valid with other coupons. Not valid for special sale items. 4. Top with whipped cream and sprinkle with chocolate. Enjoy. You’ll find a Caffé Freddo in most coffee bars in Italy. Straight espresso is stored in a freezer and served as a coffee slush. Pour espresso over a scoop of vanilla gelato or ice cream and you have an Affogato, perfect for dessert. We have a wide range of Italian espresso, including Bristot, Caffe Vergnano, Illy and Lavazza. 1. Add coffee, sugar and a splash of water to a cocktail shaker or blender. Shake or blend until the mixture forms a thick and frothy foam. 2. Pour the foam into a tall glass, then stir in the remaining water, sugar, milk and ice if using. Enjoy with a straw. Bristot Espresso traces its roots back to the early 20th century. Prior to World War I, the social climate in Europe was characterized by optimism and contentment, in part because of the peace between the great powers and the advent of scientific discoveries from the recent industrial revolution. Arts flourished and quickly gained respect and appreciation in the capital cities. During this time, a young man, Domenico Bristot, moved to Vienna. There he met many of the philosophers, writers and scientists of the time. He befriended a coffee roaster, which led to Bristot’s fascination with the art of blending, roasting and drinking coffee. 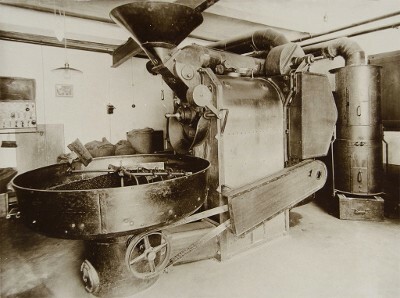 When Bristot returned to Italy after the Great War, he opened his own small coffee roasting business in 1919, using the new and unusual techniques he learned in Austria. Through experimentation and testing, he created a coffee that had an intense aroma with sweet and fruity notes, very unlike the coffee of the day. Bristot continued to develop and master roasting techniques, in particular searching for the beans and roast that would result in perfect espresso. He learned to select beans directly from the people and places where they were grown. He discovered innovative technologies to blend and roast beans. Bristot achieved his goal and along the way, created more than a few special roasts to delight his tastes. One hundred years later, Bristot still produces espresso and other premium blends. Bristot coffee is all about quality and achieving excellence in the industry. *Discount valid from 8/17/2014 through 8/20/2014 with no minimum order at www.EnjoyBetterCoffee.com. Not valid with other coupons. Not valid for special sale items. P.S. Not sure which roast to try? 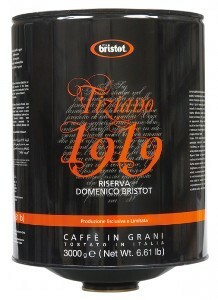 Check out Bristot Tiziano Riserva, Bristot’s flagship product. Tiziano is a blend of Arabica beans from Brazil and Central America along with full-bodied Indian Robusta beans. The coffee is mild, with a rich and balanced flavor, with nut, fruit and chocolate flavor notes and has an excellent aftertaste. We have Bristot coffee in ground, whole beans, capsules (for espresso machines) and ESE coffee pods. The Netherlands is a great place to visit any time of year. Because the country is relatively small, it’s not only possible, it is also quite easy to see several cities in this beautiful country on a single trip. If you ever get to go, here are some cities you should be sure to check out for their culture and their history. Let’s begin! 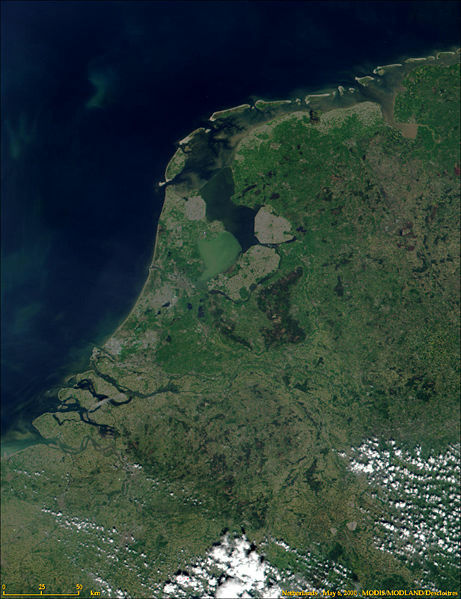 The Hague is the city by the sea, the seat of the country’s government and the home base of the royal family. M.C. Escher, one of the most famous Dutch artists in the world, has a permanent exhibit in a royal winter palace there. The city has a beautiful park (think NYC’s Central Park), a Pier and a promenade by which to view the sea. From there, due east is Utrecht, home to 70,000+ students, so it’s no surprise that the city has many lively bars and cafes. The Domtoren is the tallest church tower in the Netherlands, its Gothic architecture reminiscent of the Middle Ages. In a few years, the city will have completed development of the world’s largest bike park, able to accommodate 12,500 bikes. (In The Netherlands, everybody rides!) Drive southeast to find Eindhoven, the Technology hub of the country. Here you will find the headquarters of Philips, a contemporary art museum named The Van Abbemuseum and a futuristic mall building made almost entirely out of glass. These are just a few cities you can visit. Don’t forget about Amsterdam (canals, museums and cafes), Rotterdam (modern architecture) and Delft, home of the blue and white pottery so loved around the world. *Discount valid through 8/13/2014 on www.EnjoyBetterCoffee.com with $30 minimum purchase. Not valid with any other coupons or discounts. No minimum order required. Not valid for discounted, special sale or case sale Douwe Egberts items. We are always looking for the best teas from the top companies; Chinese teas are top of the line. We now carry 2 new brands of Chinese tea: Temple of Heaven and Tea King. When we enjoy Chinese tea, we are reminded of the legend of the Chinese emperor who discovered tea while traveling. Legend has it that around 2700 BC, the emperor, who dabbled in herbal medicine, preferred to have his water boiled before he drank it. While stopping to rest, water was set to boil. Somehow a leaf from a wild tea bush blew into the water. The emperor tried the drink, found it refreshing, and thus tea was created. Of course, the history of Chinese tea is long and complicated, rich with traditions, craftsmanship and even a bit of mythology. So we will tell you about our new Chinese teas – we are sure you will want to try them! Temple of Heaven produces Gunpowder Green Tea, one of the most popular types of green tea in China. The tea gets its name from the appearance of the rolled and dried tea leaves, tiny dark pellets similar to the appearance of gunpowder. Green tea, as well as Oolong tea, are rolled into the tight pellets after being picked and withered, allowing them to retain more flavor and aroma while avoiding leaf breakage. Some of the highest grades of tea are rolled by hand even today. When the tea steeps, the pellets unroll, which delivers a soft, golden brew with a hint of smoke. We have this tea in 2 sizes. *Discount valid through 8/9/2014 for orders of Chinese Teas on www.EnjoyBetterTea.com only. No minimum order required. Not valid with other coupons or discounts. Not valid for special sale items.